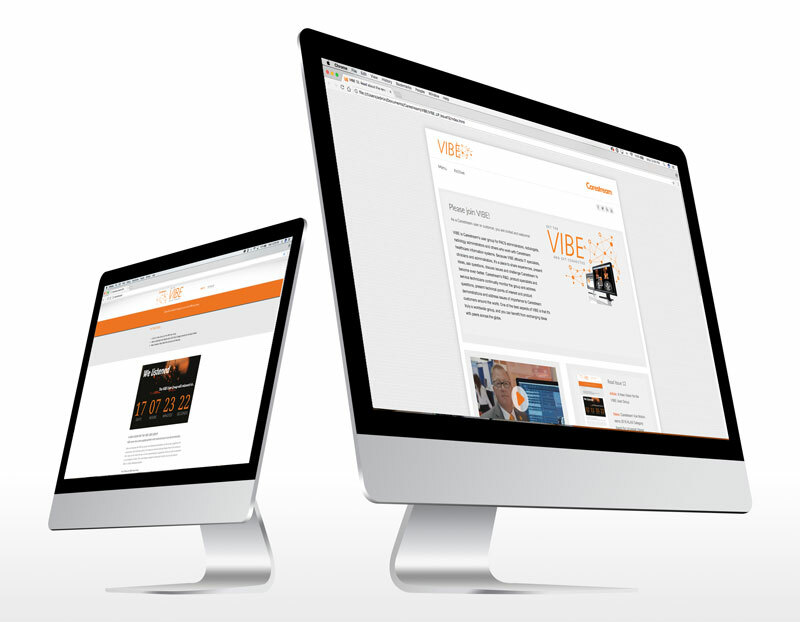 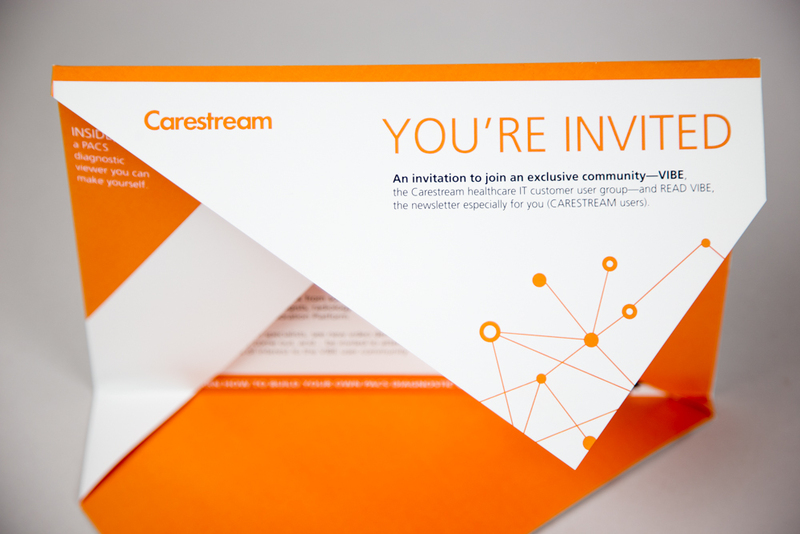 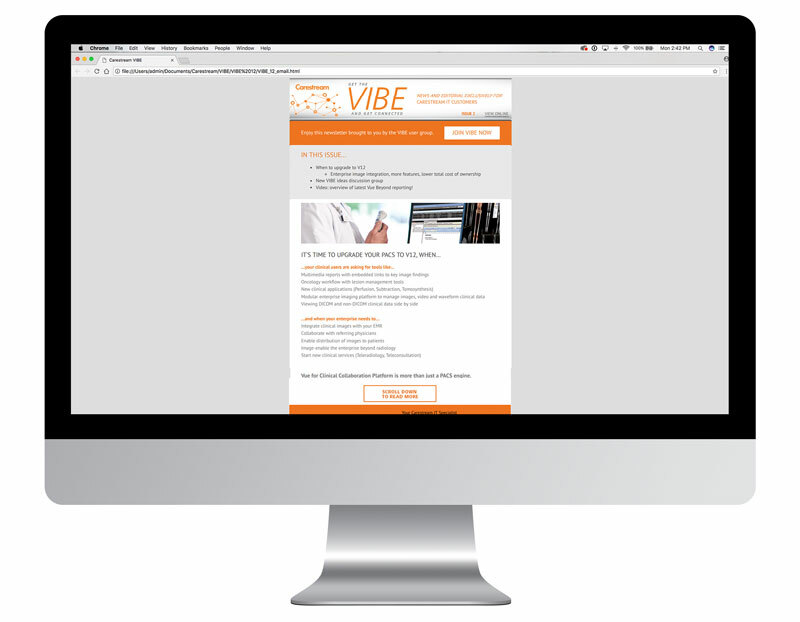 The VIBE eNewsletter was created for the Carestream install base of imaging IT users as an extension of the VIBE user group community. Not only does it provide news, tips, and occasional deals to current customers, but also keeps them up to date with current activities within the VIBE community. 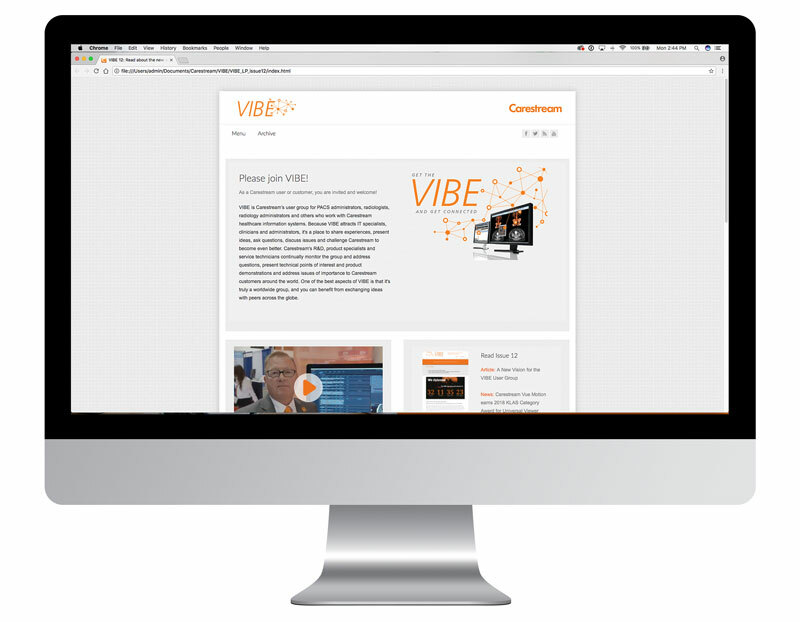 Recipients are encouraged to become VIBE members to gain exclusive access to training videos, white papers, and other valuable content. 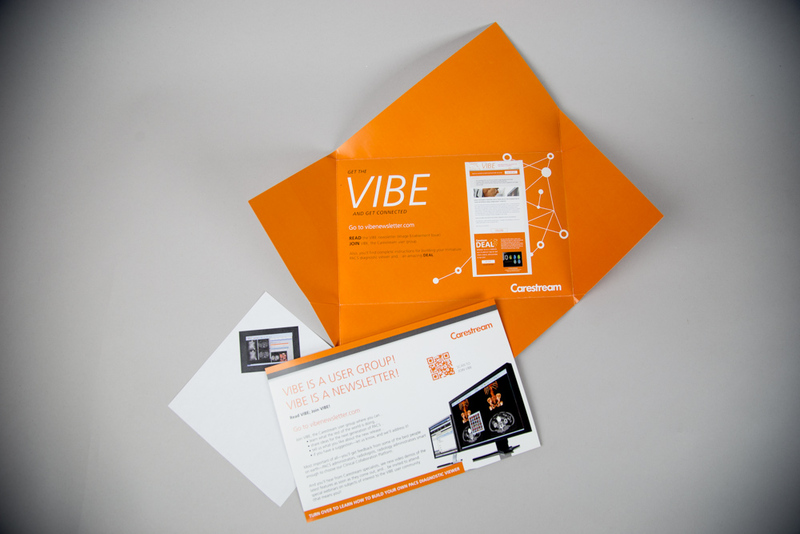 A direct mail component has also been utilized to increase membership registrations.